As adults, we tend to immediately dismiss what children do during their playtime to be nothing more than just that, playing. Kids would start acting as imaginary characters, build up their own little worlds to play in, and immerse themselves with absolute abandon. 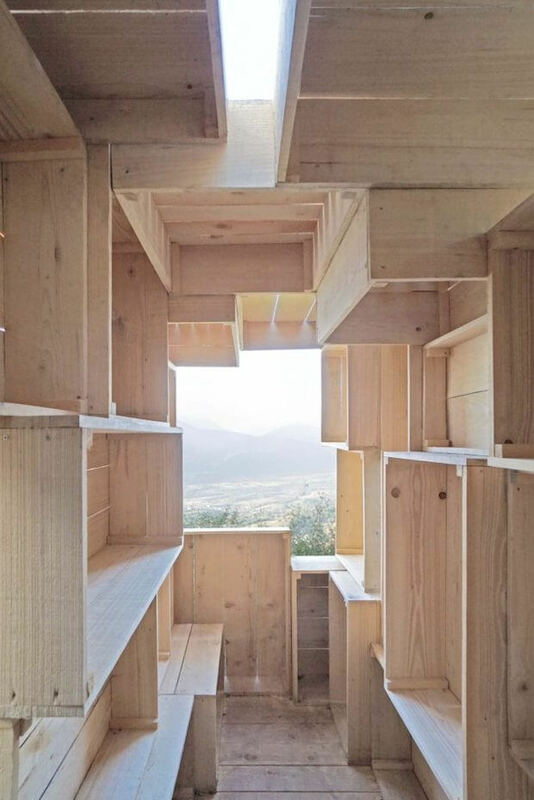 Inspired by one of those childhood activities, the Fortified Cabin is made entirely of wooden crates. The Fortified Cabin is located in Mercury, France. 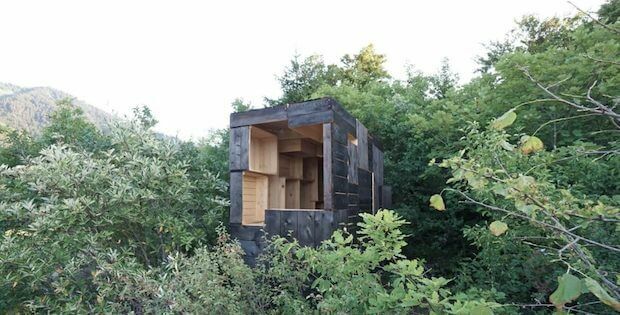 Like cardboard boxes to a child with unhindered imagination, three architects decided to build this modest masterpiece as an homage to childhood creativity. At first glance, the design and composition of the whole design seem carelessly done. But that’s exactly what gives it its charm. A structure that’s built to look like a child just threw it all together. Yet somehow at the same time, it gives off this humbling feeling deep inside. It’s as if it’s reminding us that even grown-ups can have fun too in both a casual or professional environment. Little gaps here and there serve as little peeping windows and skylights. 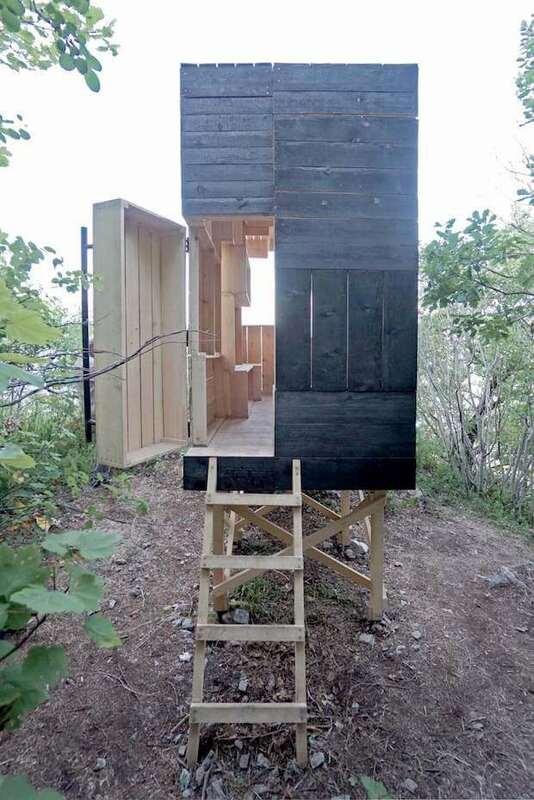 Timber supports keep this cabin above ground. Since it’s situated on a spot overlooking the Albertville Valley, it also gives off a treehouse-like feel. It is the expression of the prefabricated boxes layout that constitutes the pavilion. The boxes are all of the varying dimensions. Their unequal depth is expressed in the interior of the hut, shaping a complex topological space inside the primitive volume.